There are seven Ben & Jerry's in Connecticut. Enjoy a free cone today. Ben and Jerry’s ice cream has been around for 34 years and today is the day they are celebrating, and that means free ice cream for us. The gourmet ice cream shop is offering free cones of ice cream or frozen yogurt on Tuesday. 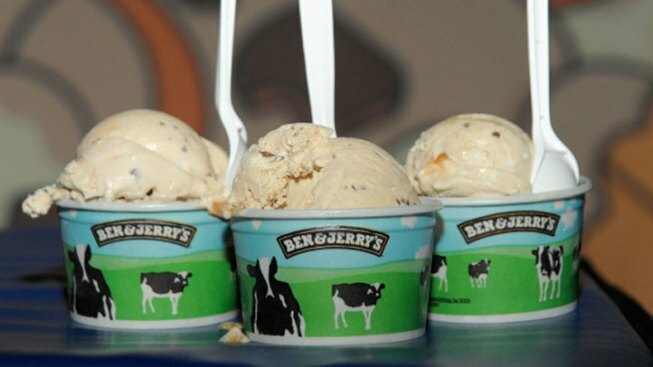 There are seven Ben & Jerry’s in Connecticut, including Branford, Canton. Manchester, Mashantucket, Milford, Uncasville and West Hartford. The Ben & Jerry's Foxwoods and at Mohegan Sun are participating. The Manchester site is at the Showcase at Buckland Hills and Milford site are not participating. The promotion started at noon and continues until 8 p.m.